Precise temperature control from ambient 5OC to 100OC with 1OC accuracy. 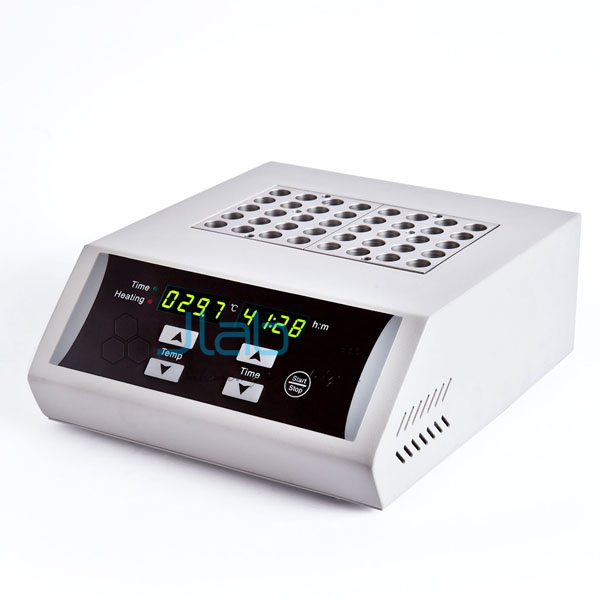 Dry Heating Block Incubators are powerful, compact and accurate everything you need for the precision heating of test tubes, cuvettes, micro centrifuge tubes and other small containers. High performance and user friendly controls combine to produce a specification which offers exceptional efficiency and reliability. The benefit to you-convenient, no fuss heating!